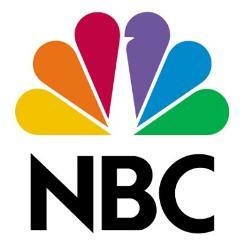 NBC is filling out its summer slate. ROBINSON — Wednesday, Aug. 5, 9-9:30 p.m. THE CARMICHAEL SHOW — Wednesday, Aug. 5, 9:30-10 p.m. WELCOME TO SWEDEN — Sunday, July 19, 8 and 8:30 p.m.
Bruce Evans (Greg Poehler) and Emma Wiik (Josephine Bornebusch) seem to be the perfect couple. When she makes the life-changing decision to move back to her native Stockholm to accept a prestigious banking job after a year together, she is surprised and thrilled that he agrees to move with her to begin a new life together. Moving halfway around the world with a new love is a huge step and Bruce, with no job, friends or real clue about what he is getting himself into, is quick to face the many unique challenges and culture clashes that living in a foreign land presents. Against the backdrop of a cold, dark and icy Swedish winter, season two follows Bruce and Emma’s engagement as they navigate unexpected career transitions, unfamiliar customs and meddlesome relatives. Created by Greg Poehler and based on events in his life, he serves as executive producer along with Amy Poehler, Fredrik Arefalk, Carrie Stein, Josephine Bornebusch, Iréne Lindblad, Lisa Dahlberg and Jessica Ericstam. Johanna Bergenstråhle is producer. “Welcome to Sweden” is a co- production between Entertainment One Television (eOne), Syskon, TV4 and Jarowskij. Last summer, season one of “Welcome to Sweden” averaged a 0.8 rating, 3 share in adults 18-49 and 2.9 million viewers overall in “live plus seven day” figures from Nielsen Media Research. In total viewers, the 2.9 million average made “Welcome to Sweden” NBC’s second-most-watched summer comedy in the last 10 years (since “Come to Papa” in 2004, trailing over that span only last summer’s “Undateable”). THE ISLAND — Monday, May 25, 10-11 p.m. I CAN DO THAT— Tuesday, May, 26, 10-11 p.m.
FOOD FIGHTERS — Thursday, July 2, 8-9 p.m.
It’s the perfect recipe for the ultimate food battle when the best amateur cooks in America put their signature dishes to the test against five professional chefs in “Food Fighters,” a high-stakes culinary game returning for season two. Television personality, author and food enthusiast Adam Richman (“Man Vs. Food,” “Man Finds Food”) hosts the series that takes culinary sparring to an exciting new level. In a series of compelling, tension-filled showdowns, a top-notch amateur home cook will face off one by one against five professional chefs from every corner of the world. In the final round, they’ll compete against a celebrity chef. Armed only with recipes for their best signature dishes, they’ll square off against an expert chef who will have to cook the same dish. The completed dishes will then be sampled in a blind taste test by culinary judges known as “The Dinner Party.” After the two competing dishes are tested, the verdict determining the winner is given to the host. If the home cook wins, they earn a cash prize. Even if they don’t win, they still get to face off again against another culinary expert, climbing a money ladder with increasing cash prizes for every professional chef they knock out. Any amateur cook who wins each of the five rounds will walk away with $100,000. It’s the ultimate food fight, pitting amateur cooks against the most formidable culinary pros in America to see if they have what it takes to beat the very best. Ben Silverman, Chris Grant, Tim Puntillo and Laura Caraccioli are executive producers. “Food Fighters” is from Electus and Universal Television. “Food Fighters” delivered a 1.2 rating, 4 share in adults 18-49 and 4.7 million viewers overall from 8-9 p.m. ET in “live plus seven day” averages from Nielsen Media Research last summer. In its Tuesday 8-9 p.m. ET slot, “Food Fighters” ranked #1, tied for #1, #2 or tied for #2 among the Big 4 networks with each of its eight season-one telecasts (“live plus same day”). HOLLYWOOD GAME NIGHT — Tuesday, July 7, 10-11 p.m.
Summer hit series “Hollywood Game Night” returns for a third season with new and returning celebrity players that will join in the fun as they face off in hilarious party games. In the series, two contestants are transported from their everyday lives into a once-in-a-lifetime night of fun and celebration as they step beyond the velvet rope and rub shoulders with some of their favorite celebrities and compete for the chance to win up to $25,000. “Hollywood Game Night” averaged a 1.5 rating, 4 share in adults 18-49 and 5.0 million viewers overall during the traditional September-to-May 2013-14 television season, up +7% versus the show’s first season over the Summer of 2013 in adults 18-49 (1.5 vs. 1.4) and up +21% in total viewers (5.0 million vs. 4.1 million viewers overall). “Hollywood Game Night” is produced by Universal Television in association with Hazy Mills Productions (“Grimm,” “Sean Saves the World,” “Hot in Cleveland”) and Mission Control Media (Syfy’s “Face Off”). Sean Hayes, Todd Milliner, Michael Agbabian and Dwight D. Smith are executive producers. RUNNING WILD WITH BEAR GRYLLS — Monday, July 13, 10-11 p.m. In the second season of this hourlong alternative series, “Running Wild with Bear Grylls,” the famed adventurer and survivalist will continue to take celebrities into the most remote and wild locations in the U.S. and around the world for a 48-hour journey of a lifetime. Each of the celebrities endure the harsh wilderness in high-octane, action-based and empowering journeys spread over remote locations. Grylls and each celebrity will have to push both their minds and bodies to the limit to successfully complete their journey. The show was created by Grylls, who recently starred on the NBC series “Get Out Alive with Bear Grylls.” “Running Wild with Bear Grylls” is produced by Electus and Bear Grylls Ventures. Grylls will serve as executive producers along with Ben Silverman, Chris Grant, Laura Caraccioli and Viki Cacciatore. “Last Comic Standing” resumes its search for the funniest comic in the country with the best panel of judges to date, surprise celebrity guests and a new riveting head-to-head phase of the competition. The season will open up with hilarious auditions by invitation only. The top 100 comics in America will vie for 20 spots. These 20 will then compete in a semifinal round and the best of the best will emerge, with the top 10 moving into the compelling head to head round. In this phase, they will be paired in a high stakes single-elimination round of stand-up stand offs. The top five comedians will move on to the finals, where the funniest of all will take the coveted title of “Last Comic Standing,” winning an incredible prize package worth $250,000, including a cash prize, a talent deal and a development deal for a television show. “Last Comics Standing” averaged a 1.7 rating, 6 share in adults 18-49 and 5.1 million viewers overall last summer, and ranked #1 or tied for #1 versus its regular ABC and CBS time-slot competition with 12 of 13 telecasts. “Last Comic” was a strong upscale draw, indexing at a 126 among adults 18-49 living in homes with $100K+ incomes (100 represents an average concentration of those homes). “Last Comic Standing” is executive produced by Wanda Sykes, Page Hurwitz and Javier Winnik. The series is produced by Universal Television and Push It Productions.